Wow. It has been four years since I had a Starbucks Planner Philippine Edition. 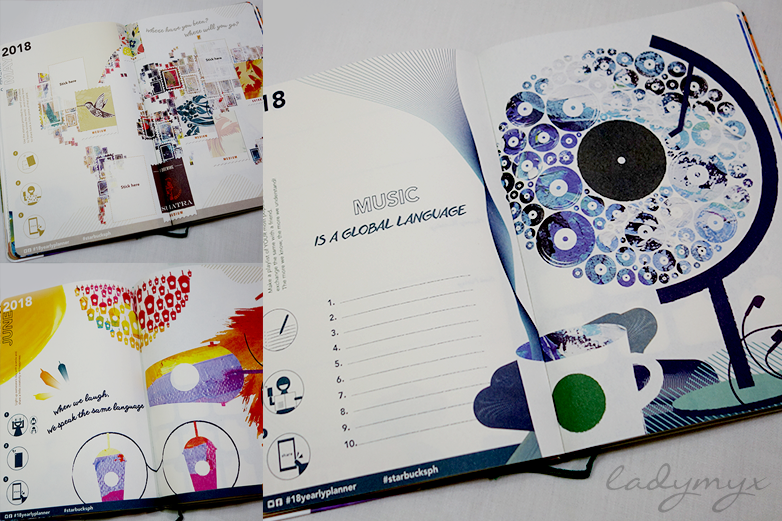 And since then, I did not intend to get one again simply because it is such a nice planner to write on. It will be a waste if ever I will have another one and my life is still as vain as before. So first off, thanks to GJ for giving me an opportunity to have one again. 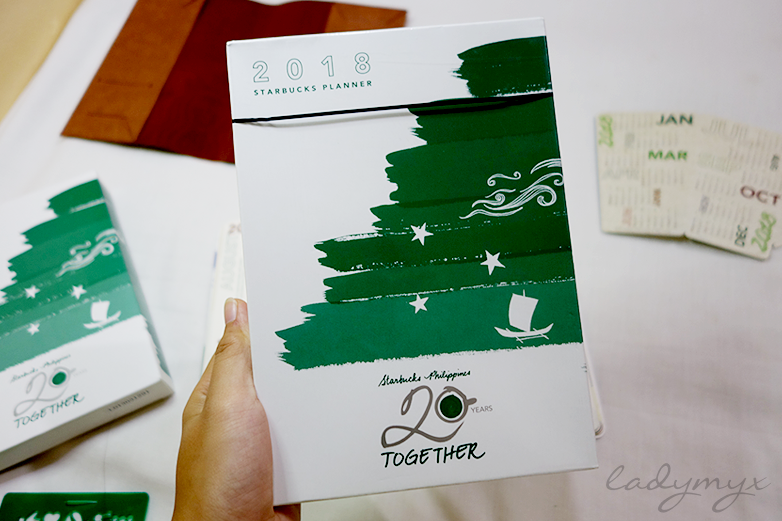 I once told him that I would love to have a planner from Starbucks, but I do not mind if I can't get it or what. I hope you understood me on that. Sorry, my head is simply clogging of ideas, there's a lot coming. Haha. Anyhow, he already acquired one last November 6, if I am not mistaken. That was just two days after the store started the sticker hunt/game/whatever it is called. 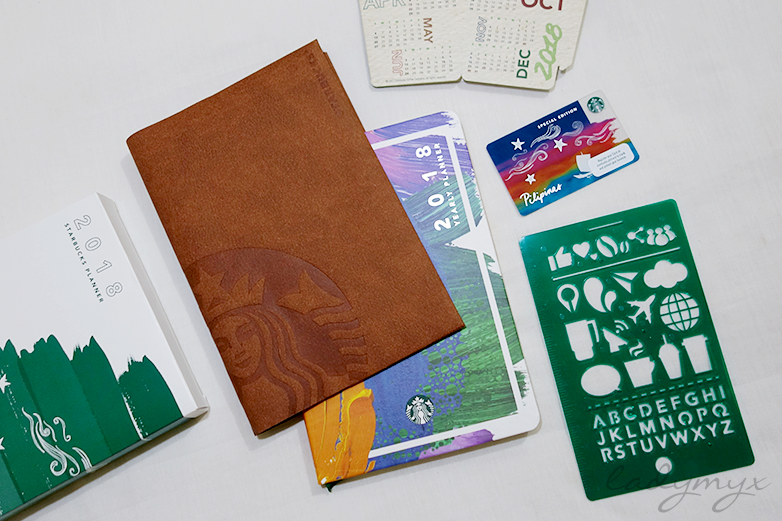 My heart can't contain the happiness I felt when he asked the barista that he wants to redeem the planner in tan. I was giggling as I pinch him and hug his arm for giving me a nice surprise. We are still half of the stickers and I am not expecting to have it that early. The mechanics each year stays the same, so I guess you already know the drill. 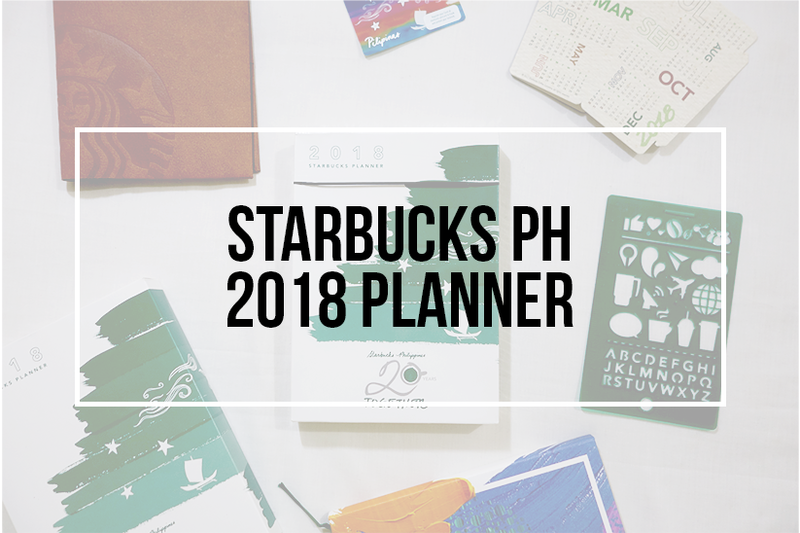 The planner includes a tan leather sleeve which is made of recycled materials, a 2018 foldable cup calendar, a plastic stencil-ruler and a special edition Starbucks Card with a Cape Vinta art design. 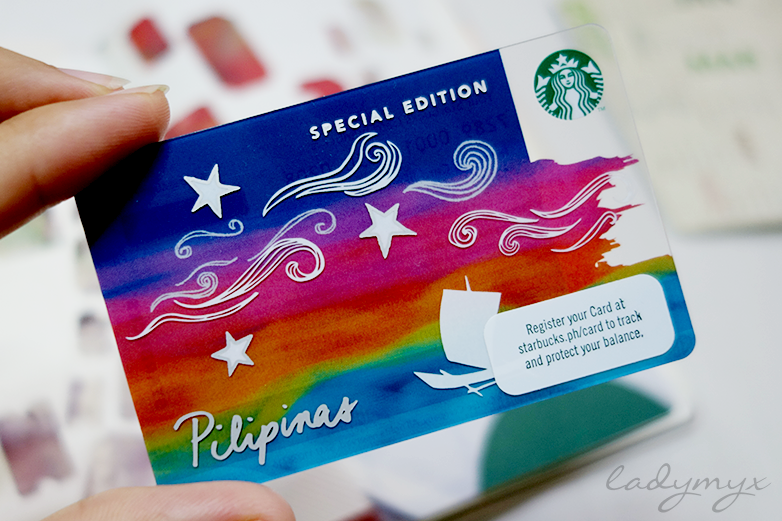 This card then, is my very first Starbucks card. I have now a chance to win a Starbucks drink each day in a year. I actually like its color, more like a unicorn. LOL. 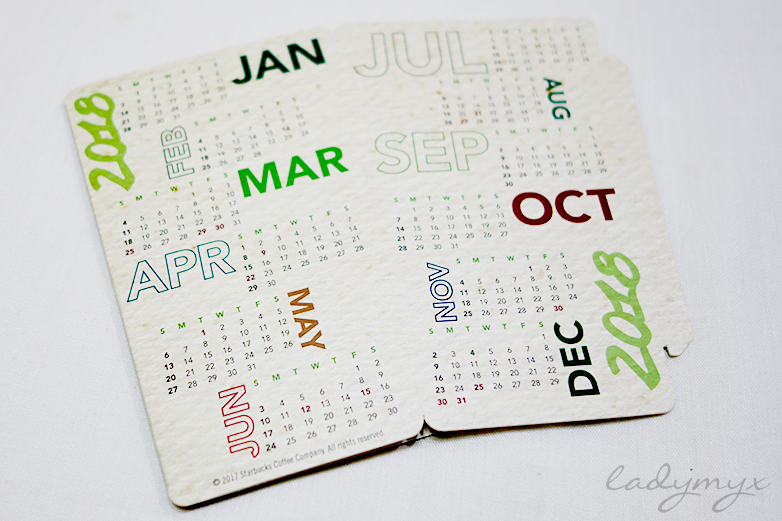 The small table calendar has a wow factor too. 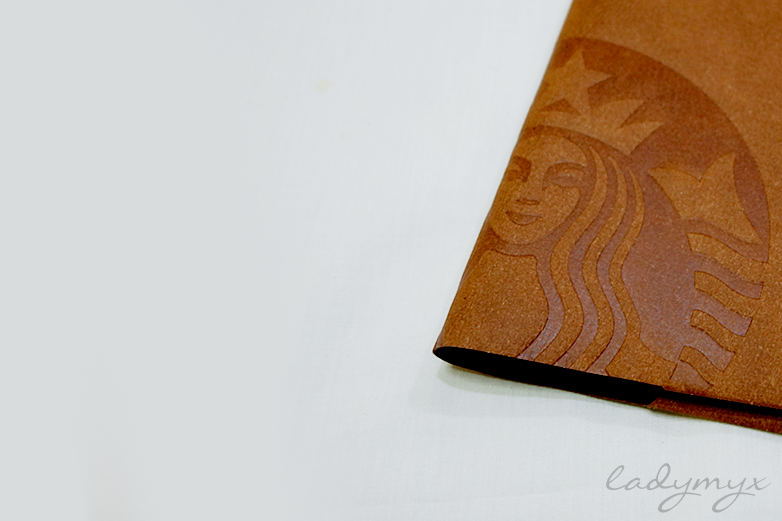 Once folded, it will turn into a Starbucks cup that you can turn if one side is finished. Another awesome inclusion is this green plastic stencil and a ruler in one. I've tried using it in a letter that I made and sent to Europe and it is really helpful. I don't need to practice to have a nice handwriting or print out from the computer. Can you guess which is my favorite pattern? 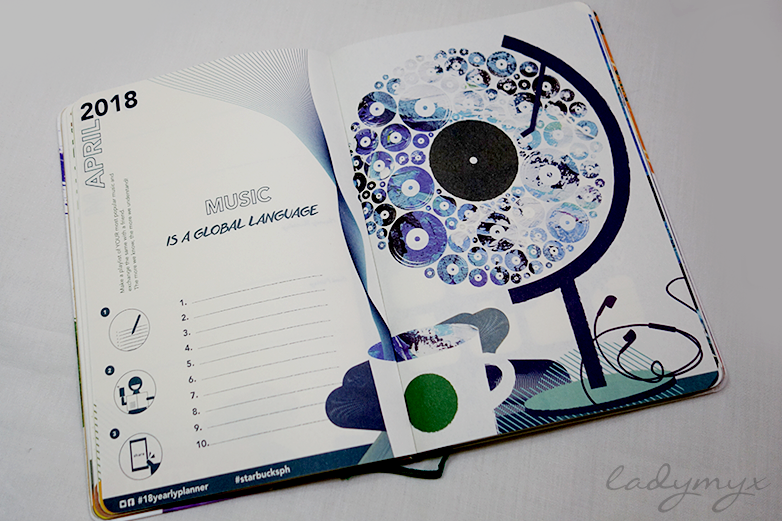 Every page is designed with lovely color compositions and resembles a workbook in a planner form. It is nice to know that there are blanks to fill and questions to answers, it makes one's life less boring, I guess. 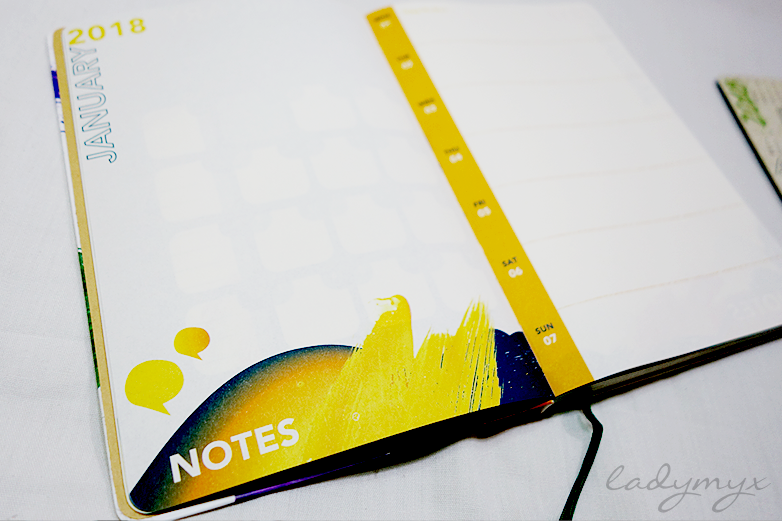 These spaces for notes are perfect for doodles or calligraphy sessions. Or maybe, there's something you would want to write, so yeah, that's up to you. The tan leather case is nice but the dark one is nicer. Well, I had this one so I should be appreciative, besides, it is a gift and I picked it. Haha. 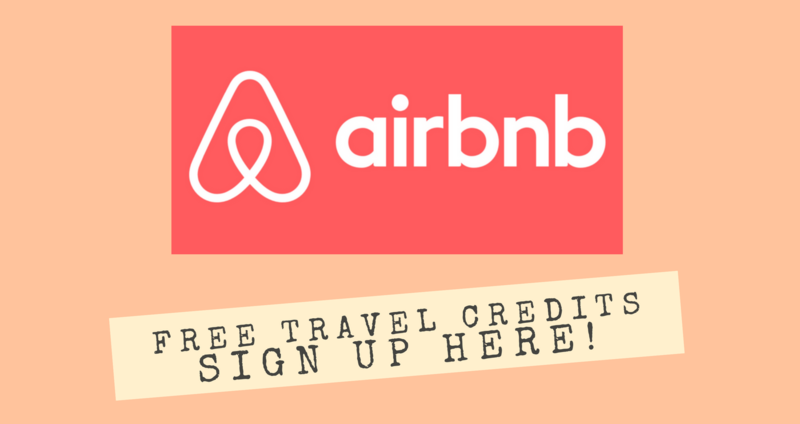 All other information not mentioned here can be read on their official website. With this amazing planner, I am hoping that my 2018 will be amazing too. Not bragging about this though, but it is just too nice to keep it for myself. 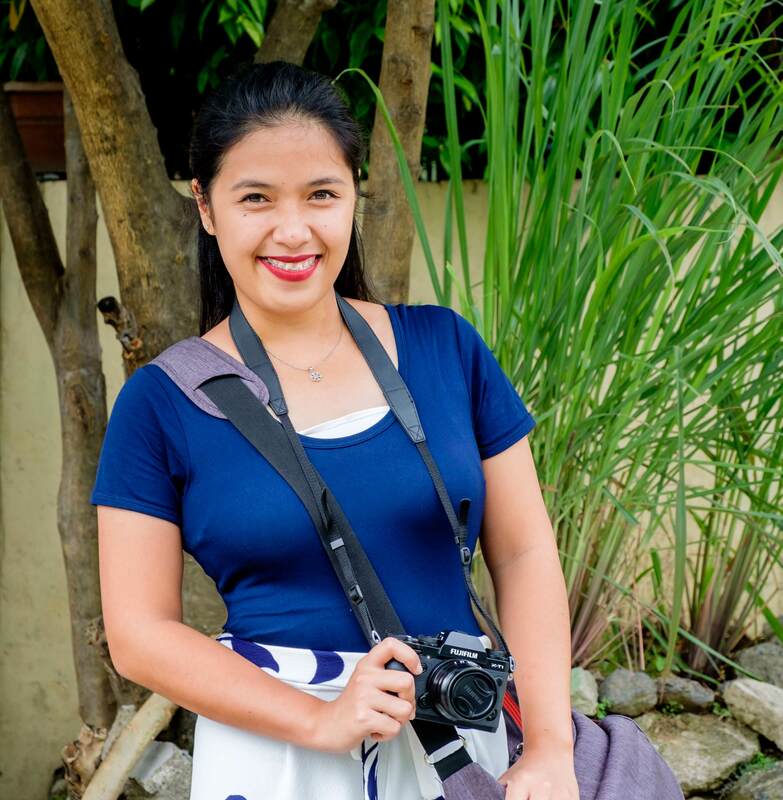 I am used of having a planner and it helps me to be more productive and wise in spending and using my time. Another heap of thanks to my awesome fiance! So how about you? You got your 2018 planner already? 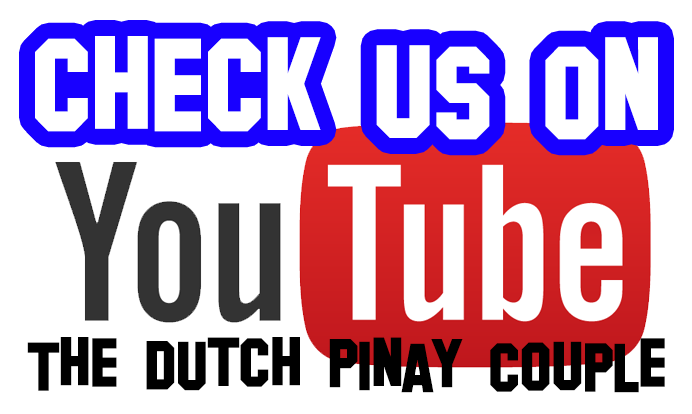 digg it and in my view recommend to my friends. 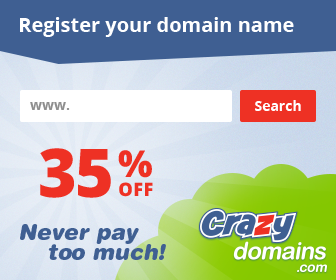 I'm sure they will be benefited from this site.